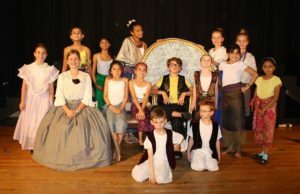 The Performing Arts Center of MetroWest is excited to announce that registration is open for the Summer Music Theater program, now in its 30th year. Two-week workshops for kids entering grades 3-8 conclude with fully-staged, ticketed productions that are open to the public. Discounts are available for participating in more than one workshop, early registration and registration by siblings. Limited scholarships are also available. Call 508-875-5554 for more information about discounts and scholarships. All students will be cast and have the opportunity to work on costumes, sets, and props. Pre-registration required for all workshops. Workshops subject to change or cancellation depending on enrollment on June 1, 2019. Early Bird Registration! Sign up before April 15th and save $30 off your registration! All workshops and performances will be held at the Boston Church of Christ at 214 Concord Street, Framingham. Back by popular demand, Warren Scott Friedman returns for his fifth encore at PAC’s 2019 Summer Theater Program. Mr. Friedman brings over 25 years of experience in musical theater direction to PAC’s Summer Workshops, elevating the students’ exposure to a nationally known director. Joining Mr. Friedman as Music Director is Eliomar Nascimento, Voice Instructor at PAC for over 10 years and a former faculty member for the Young Artists Vocal Program at the Boston University Tanglewood Institute in Lenox, MA.